If you have heard of hydroponics or other methods of growing plants without soil and want to try it out at home, you can. Hydroponics is easy to care for and set-up at home. There are materials you can buy or some you may be able to find around the house. The dirt or soil that you use to grow plants in a traditional method is substituted for a growing medium (full of nutrients the plant needs to grow) in hydroponics gardening. The nuitrients are fed directly to the roots by method of a feed system. The system can be automated and the gardener can control how much water the roots receive within a specified time frame. The more growing medium the faster the plants grow. Since the system can be automated, the amount of time and energy that is required to maintain a hydroponics garden is less than with a traditional garden. As long as enough water is present and growing medium the plants can be left unattended for a longer period of time. 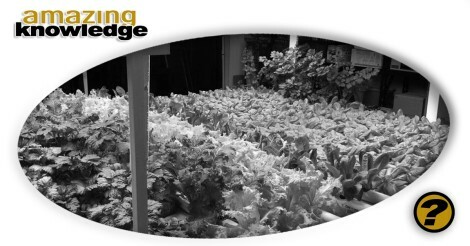 A home-based hydroponics garden can grow vegetables year round. The concern about pests and the composition of the soil are not an issue with this type of gardening. Another bonus with this type of gardening is how fast you can have mature vegetables indoors (by increasing the amount of light and grow medium). The types of plants that are best for hydroponics are ones with thin spider-like roots. Plants that have a bulb root system are still best grown in the traditional soil method inside a pot or outside. When you are ready to begin, germinate the seeds for your plants like you normally would. When the seed has started to sprout and has approximately 2-5 millimeters of growth it is ready to transplant to the hydroponics container and begin growing. This entry was posted	on Sunday, January 20th, 2019 at 5:15 pm	and is filed under Knowledgebase. You can follow any responses to this entry through the RSS 2.0 feed. You can skip to the end and leave a response. Pinging is currently not allowed.